As we covered in depth last fall, ETS has unveiled two new official GRE practice tests. Naturally you want to work with the latest and greatest new problems and get answers to your questions. We are pleased to announce complete answer explanations for the first Quant section of this test, all available on our GRE Forums. 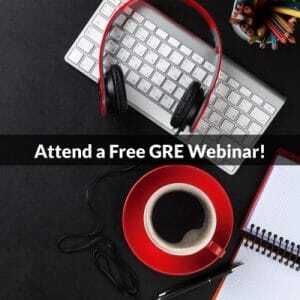 We’re working furiously to develop student-friendly solutions to these problems, solutions that illustrate the crucial test-taking skills you need to employ to succeed on the GRE. These solutions cut through unnecessary complications and superfluous steps to present the most direct approaches to get to the correct answer. For some problems we present multiple approaches to illustrate different angles of attack. By familiarizing yourself with multiple approaches, you will find yourself more confident and stuck less. 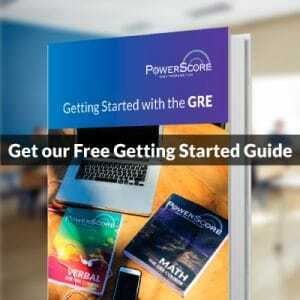 Momentum and confidence are both key to success on the GRE. Read below for an example explanation, from the 19th problem on the first Quant section. For this coordinate geometry problem, we will present two possible solutions. Start by Recording What You Know™, drawing your coordinate plane, and setting up your answer choices. Since we have the equation of this line in slope-intercept form, we can draw our own graph. The slope is -½. The y-intercept is 3. Now draw a line through these points. Since we’re looking for a coordinate (c, -c), we need to find a place where the x and y values will be opposite one another. As we increase the x value, the y value will get smaller and smaller. The x value will get bigger far faster than the y value will get smaller. For instance, at x = 10, y = -2. Therefore, our opposite values will not be found in the fourth quadrant. Instead, we need to make x smaller, moving to the left into the second quadrant. Look at your chart. Where do the x and y values seem like exact opposites of each other in the second quadrant? It looks like this is around (-6,6). Let’s consider a more strict algebraic solution. Start by Recording What You Know™ and setting up your answer choices. We have one equation for a line, but we are asked to find some exact values of x and y. The problem supplies us with another possible equation to work with. Remember, if you have two variables, you need two equations to solve for both of them. Since x corresponds to c and y to -c, we know that x = -y. We can use substitution to put -y in for x in the first equation. Now we have to solve for y. The steps to solve for y are indicated in green. The question asks for c, and remember that c = x.